Stephen Hawking adjusted his doomsday timer for Earth, slashing 900 years from his initial 1,000-year estimate. According to the famous physicist, humanity has a century left to evacuate the planet and become multi-planetary species. Over the past century or so, humanity has accomplished a great deal of innovation. We learned to fly (at least with the help of airplanes), built huge machines, cured diseases, and developed computers, the Internet, and smart devices. At the same time, we’ve caused our fair share of destruction, too: in the form of several wars — two of which were world wars — and, of interest as of late, man-made climate change.Now, renowned physicist Stephen Hawking thinks we have 100 years left before doomsday — and we need to get off Earth long before that comes to pass. This isn’t the first time Hawking has given a doomsday prediction. In recent years, he’s warned about how super artificial intelligence (AI) would end humankind and how contacting extraterrestrial life would go bonkers for humanity. Then in November of last year, he said we have 1,000 years to leave Earth. Now, he’s cut it down to 100 — leaving us to wonder just how bad the past six months have been. They’d arguably have to have been pretty bad for Hawking to drastically cut our time on Earth by 900 years in one fell swoop. 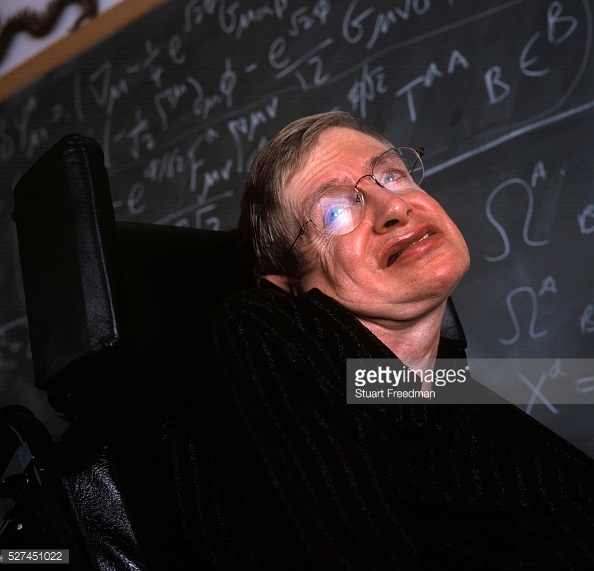 The details of Hawking’s latest doomsday warning will be featured in a new BBC documentary airing on June 15 called Expedition New Earth, where he suggests that humanity needs to be a multi-planetary species within the next century in order to survive.Hawking explains that humankind’s days on Earth are already numbered because of climate change, asteroid strikes, epidemics, and overpopulation. The only way to survive? We need to change planets, and fast. A lot could happen in 100 years, and we’ve proven that we’re capable of discovering and developing many things within a century. But could we really go multi-planetary in that timeframe? Tesla and SpaceX founder and CEO Elon Musk thinks so, and he’s already outlined plans to make it happen. The destination for humanity in his mind? Mars. And while the Red Planet isn’t exactly that near, neither is it too far. Musk intends to land people to Mars by 2025 and set up a colony by 2033 — which is well within Hawking’s timeline. However, reaching Mars and setting up a stable habitat could take a couple more decades at least. Fortunately, there are others working on it, too: NASA already has a program for getting to Mars, and China’s also working on its own mission to the Red Planet.